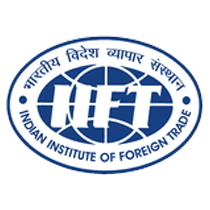 IIFT Exam 2019 - Indian Institute of Foreign Trade is one of the leading institutes in India that conducts national level entrance exam to provide admission for two-year MBA IB (International Business) program in the IIFT Delhi, Kolkata, and Kakinada campuses. As per the official announcement, the IIFT 2019 exam will be conducted 2 December 2018 in around 20 cities in pen and paper based mode. The IIFT Registration has started from 6 August and the last date to submit the IIFT Application Form is 14 September 2018. For Foreign Nationals and NRIs, the last date to apply online and submit the GMAT Score is 15 February 2019. IIFT 2019 will contain 115 to 130 Objective type MCQs and the duration of the IIFT exam will be 2 hours. Further, the candidates will be called for Written Skills Assesment, GD (Group Discussion), and PI (Personal Interview). IIFT 2019 is a residential program for MBA (IB) and it is a postgraduate level exam. IIFT exam is not only for the Indian candidates but also for the NRIs and their children, as well as for Foreign Nationals. IIFT is a Deemed University which was set up by Government of India in 1963. Here, the candidates will be able to get detailed information related to IIFT 2019 important dates, eligibility, registration process, selection process and much more. Academic qualification: The candidates who wish to apply for IIFT 2019 must have 3-years Bachelor’s Degree from a recognized university in any discipline. The candidates must have passed with 50% marks (45% for SC, ST, and PwD category candidates). Candidates who are appearing for any qualifying examination are also eligible to apply. They need to submit a proof of requisite qualification by 7 October 2019. Apart from the Indian Candidates, Foreign Nationals/ NRI candidates/ Children of NRIs are also eligible to apply. Below are the important details related to IIFT 2019 like registration and application fees. For MBA admission in IIFT Delhi and IIFT Kolkata, IIFT Registration form can be filled and submitted in online mode. There is a common IIFT 2019 Application Form the campuses. The candidates have to visit the official website and click on Admission 2019 and fill in the IIFT Application Form. To start filling the IIFT Application Form, the candidates will need to get registered to the website and the fill the basic details asked and upload the required documents. SC/ST/PWD/OBC (Non-creamy layer) candidates will have to upload the requisite certificate along with the IIFT Application Form. IIFT Application Fees will be paid as per the categories. The candidates also have to note that once the application fee is paid, it cannot be refunded. The candidates belonging to the respective categories must pay their IIFT application fee accordingly. Mode: IIFT exam will be held in a pen and paper based mode. Medium: It will be conducted in English only. Type of questions: Objective Type MCQs. The number of questions is not fixed in IIFT and it may range from 115 to 130 Questions. Last year there were total 123 questions. Negative Marking: 1/3 marks will be deducted for each wrong answer. IIFT 2019 written test will be conducted in the 20 cities of India. There are a number of IIFT Exam Centres all over in India. The candidates are required to choose their Test Centre very carefully while filling their IIFT Application Form. There is a provision for change of Test Centre as well. The candidates need to enter their IIFT Registration Number and Password to login to their account and apply for the request of change in IIFT Exam Centre. The candidates need to pay the amount of Rs.1000. The candidates also have to note that, no request for change of IIFT exam centre will be entertained after 5 November 2018. The link to download IIFT 2019 Admit Card will be available on this page. IIFT 2019 Admit card will be available online to download for the eligible candidates. The candidates who duly filled their IIFT 2019 Application Form will be able to download their IIFT Admit Card 2019. The IIFT Admit Card will contain the following information on it. The candidate who appeared for the IIFT 2019 exam will be able to check their IIFT 2019 Result online. The result link will be available on this page. After the declaration of result, the qualified candidates will be invited to appear for Personal Interview, GD, and Written Ability Test. After the announcement of IIFT Result 2019, the candidates would start looking for the cut-off. The cut-off will be declared by the IIFT Institute along with the scorecard. As it is expected that the IIFT 2019 will be difficult than the last year so the expected cut-off would also go down. The expected cut-off for IIFT Delhi campus 37-41 out of 100 and the expected cut-off for IIFT Kolkata campus 35-38. Second Stage: GD and Interview – The qualified candidates will be called for the second stage which will be based on their marks in the written test. The second stage will consist of Essay writing and GD (Group discussion) and Interview. IIFT Interview will be held in the month of January/February 2019 in various cities of India like Delhi, Kolkata, Ahmedabad, Bangalore, Chennai, Hyderabad, Lucknow and Mumbai. IIFT Admission 2019 for the Foreign Nationals/NRI candidates/Child of NRIs will be made on the basis of GMAT (Graduate Management Admission Test) scores only. The annual tuition fee which has to be paid by each candidate for the IIFT MBA (IB) batch 2018-20 is Rs. 8,35,000. The fee can be paid in three instalments. There are other charges of Rs. 32,500 for the first year and Rs. 22,500 in the second year. These charges are for the facilities like computer, internet, library, alumni charges and IMF (student body) etc. The SC, ST and PWD category students are given 50% concession on the IIFT tuition fee only. The Foreign Nationals and NRI Students will have to pay the annual tuition fee along with other charges in a single instalment at the time of admission in the first year and by the start of the second year. The fee for the 2018-20 batch under this category is the US $ 30,000 per year and other charges of Rs. 32,500 for the first year and Rs. 22,500 in the second year. The exact amount of IIFT Tuition Fee and other charges which will be applicable For MBA (IB) 2019-21 Batch will be informed to the students at the time of sending the offer letters in March/ April 2019. It is compulsory for the candidates to stay in the hostel for pursuing their IIFT MBA Program. The hostel fee has to be paid annually in advance. There is also a Mess charge of around Rs. 4,500/- per month in both the campuses. IIFT Placement for the MBA (IB) candidates is worth mentioning as it has a Placement Cell that provides guidance and assistance to the two-year full-time MBA (IB) students that enable career opportunities in a different organization in both India as well as abroad. IIFT Delhi and IIFT Kolkata have separate placements and some companies exclude IIFT Kolkata from their selection criteria. As compare to IIFT Kolkata, IIFT Delhi has better placements and it is also the more preferred Institute. IIFT Scholarship scheme is awarded to the Need-based students whose family income is less than Rs. 4.50 lakh per annum. IIFT pays the interest subsidy for a specific point of time on Educational Loan has taken by a student from the Bank. Full Tuition fee and Non-refundable charges. Latest computer with related accessories such as UPS, Printer, and Multimedia limited to Rs. 45,000/- as one-time assistance during the scheme. The above scholarship scheme will be awarded to those students whose family income is less than Rs. 4.50 Lakh per annum from all the sources. The scholarship can also be terminated if the student fails to qualify the examination of each year or any internal examination. IIFT also offers student exchange program and has a tie-up with institutes in Europe and North America. There are total 45 seats under the student exchange program. The selection for the program starts from August to September for the first year students and it is for the completion of the third trimester in the partner institutes. The duration of the program is 3 months i.e. the third trimester. IIFT Answer Key will be available after the commencement of the IIFT exam and before the announcement of result. It will help the candidates who appeared for the exam in calculating their probable score. With the help of IIFT Answer Key 2019, they can estimate their result and they will be able to prepare for the further selection processes including GD, personal interview, and written ability test. Practising with previous years' IIFT Question Papers will help the candidates in getting familiar with the IIFT exam structure and exam pattern. They will be able to know about the type of questions could be asked in the IIFT exam. In order to crack the IIFT exam, besides learning and practising, taking mock tests is also very much important. IIFT Mock Tests are available on various online platforms. It will help in managing time and the candidate will be able to finish the paper on time. It will also help in predicting the percentile they can get in the IIFT 2019 exam. If you have any question regarding IIFT admission you can write in the comments section below.